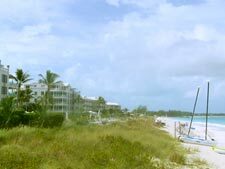 Caribbean > Turks and Caicos villas > Trip Reports > To the Turks and Caicos you will go!! To the Turks & Caicos you will go!! When I mentioned to my lady I'd be going on a familiarization trip to the TCI (Turks & Caicos Islands) she replied "The who? Where?". This is a frequent reaction from many for this group of islands as despite a lot of recent mentions in the press and travel literature they are still not familiar words. Indeed many perceive the islands as Caribbean and for good reason as the archipelago sits close to the geographic boundary and is in the same general direction, i.e. south of Florida. To be more precise though, the TCI islands are comprised of over 40 islands only 8 of which are inhabited. The islands are situated 575 miles southeast of Miami. This island chain covers a total of 193 square miles of the Atlantic Ocean. The main entry point for Turks & Caicos is the island of Providenciales or Provo as it is affectionately known. This island covers some 38 square miles with wonderful beaches, resorts, villas and attractions to rival any prime Caribbean destination. 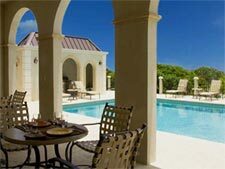 Typically the villa rentals on TCI run Saturday to Saturday, and so usually coincide with better flights. For access, there are numerous non-stops from key cities up and down the eastern seaboard. A quick call to Wimco will let you know what options there are from your city. Our flight plan was Boston to Miami to Providenciales. My colleague Bill and I left Boston at 2pm and were on island by 8pm with a very easy change in Miami. Miami has WIFI connectivity starting at $4.95 for the first half hour then .25c for each additional minute. This was one I came across but suffice to say if you HAVE to be connected then you can be. Our home away from home was Villa Paprika. This is a 5 bedroom, 5-bath property, which opens onto Turtle Cove. The villa has beach frontage at the end of the property line past the protected sand dunes, which fringe the island's beaches. 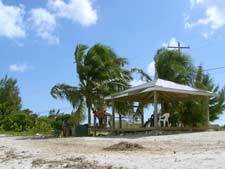 The TCI government has protected the dunes since 1991 and it serves the island well. Though I have traveled far and wide, this trip to the TCI was my first visit but I felt as though I knew them having sold the villas we represent on numerous occasion. It is like knowing the words in a book without actually reading them and finding the whole book on a coffee table with time on hand to read it thoroughly, truly a delightful experience and one I was more than ready for. True first impressions came to me over the next several days as we crisscrossed the island from east to west and north to south, seeking out the villa and hotel locations to fulfill the primary objective of our visit. Our secondary objective of course to experience the island and taste its flavors, which we most certainly did our best to accomplish. Overall the TCI are not pretty. The island is sparse with course brush everywhere. There are hardy plants which thrive in harsh conditions, and of course there is the cactus. Accordingly most of the villas are oriented to look out at picturesque beaches and turquoise colored bays as opposed to the landscape of the interior. The Turks Head Cactus grows throughout the island. It is the cactus, which in part gives the chain their name, along with the fact that the islands perhaps have the appearance of a Turkish person wearing their traditional headwear. 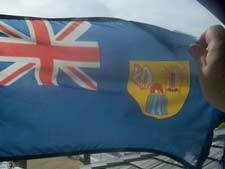 The cactus is on the TCI flag too, which shows the importance of the succulent to the islands as a whole. The island's infrastructure is very good. The roads are in good shape and there is a 4-lane highway dissecting the major portion of the island, which allows easy access up and down. The water on island is safe to drink from the faucet and is plentiful. All the villas we visited have washer/driers, which is a refreshing change from many an island though usual water conservation of course makes sense. From a produce standpoint, TCI imports just about everything, there are supermarkets as good as we have in the states but the prices are high. The IGA is a mainstay for the island, centrally located, clean and convenient; it has everything under one roof so rest assured you can find the cookies you want or a suitable alternative. 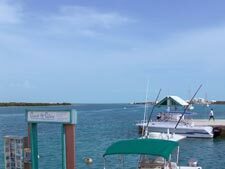 It is an interesting place offering up an island flavor with locals, visitors and ex pats going about the business of stocking up with provisions. As I advice frequently, part of the island feel is to be found in the stores as there is produce which is strange to most on display raising the question of "what do you do with that?"